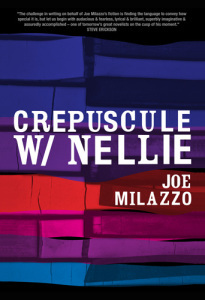 Dallas native Joe Milazzo’s new novel Crepuscule w/Nellie is an inspired work of art, a “speculative historical fiction” twenty years in the making, and the book deserves a wider audience than it will get. Titled after the jazz standard of the same name – a song composed by the famously idiosyncratic pianist Thelonious Monk, while his wife Nellie was undergoing treatment for a thyroid disorder – the novel imagines itself into the uncomfortable love and economic triangle existing between Monk, Nellie, and their benefactor, the Baroness Pannonica de Koenigswarter. The story is, like Monk’s work, unique – strange, dissonant, profane, poetic – and some readers will find its peculiarities difficult to overcome. Stylistic techniques and points of view vary wildly from one scene to the next. Setting and dialogue and characters are introduced with little or no context. 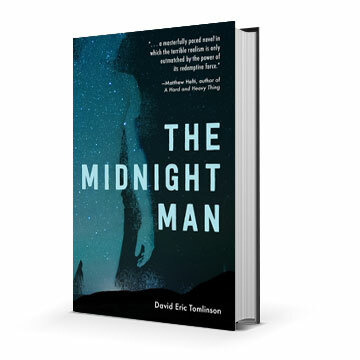 Yet these characters are drawn with such empathy that, within just a few pages, we begin to identify with their challenges, and to hope for some sort of resolution. It seems that Nellie is sick. And her husband Monk, communicating in increasingly clipped snippets not unlike Zen Koans, is an almost helpless musical savant. Focused, it seems, exclusively on his own needs, Monk leans on Nellie for everything. His first words to Nellie are a demand for “Ice cream! … Frozen! Icy novelties! … Icy cream, cream! Icy! … Scream!” But now the Baroness Pannonica, hoping to introduce Monk’s talent to a wider audience, is threatening to wedge herself into the widening spaces between husband and wife. In distinctive set pieces arranged “like Chinese progressions” on a musical scale – there are diary entries to study, transcripts and letters, cartons of old photographs, film negatives, jam sessions and master tapes galore – we are taken on what feels like a voyeuristic ridealong, witnessing Monk compose his masterpiece. Monk’s marriage, the lifeblood running through his music, has started to buckle under the pressures of celebrity and art, racial politics and commerce, mental illness and intransigence … but not (at least not yet) fortune. These moments of affection are contrasted with Pannonica’s weird, seemingly misplaced fixation on Monk and his music. Planning to host Monk at her estate for a public performance, the Baroness and her jealous manservant Frank spend much of the novel at war with one another, volleying insults as they prepare for the event. Unlike Monk and Nellie, who are living Monk’s music, Pannonica’s appreciation for jazz is entirely intellectual. And her public behavior – icily polite, and yet relatively stable – veers so wildly from her diary’s creepy internal monologues that she becomes something of a villain. In Monk’s music, silence can be more revealing than the notes themselves. So it shouldn’t come as a surprise that the one perspective Milazzo avoids writing from is Thelonious Monk’s. Monk is the novel’s arrhythmic heartbeat, its “one wrong note, or one note given over to a wrong objective, one note that alights heavily when it might allow itself to spring back,” and we understand the enigmatic composer only insofar as we understand his effect upon those who loved him from the shadows.